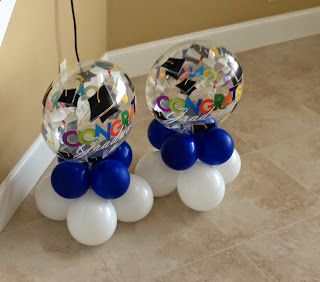 Party People Event Decorating Company: Fabric and Balloon decorations LCS Graduation Party 2014! 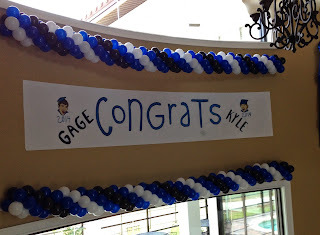 Fabric and Balloon decorations LCS Graduation Party 2014! Party People Celebration Company is an event decor company creating custom Fabric and Balloon decor for your special celebrations. Based in Lakeland Florida, we serve central Florida, and will travel anywhere our client is willing to pay our travel fees! 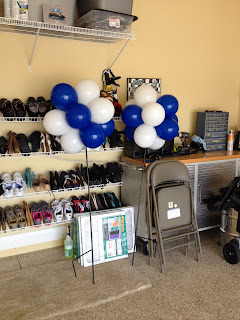 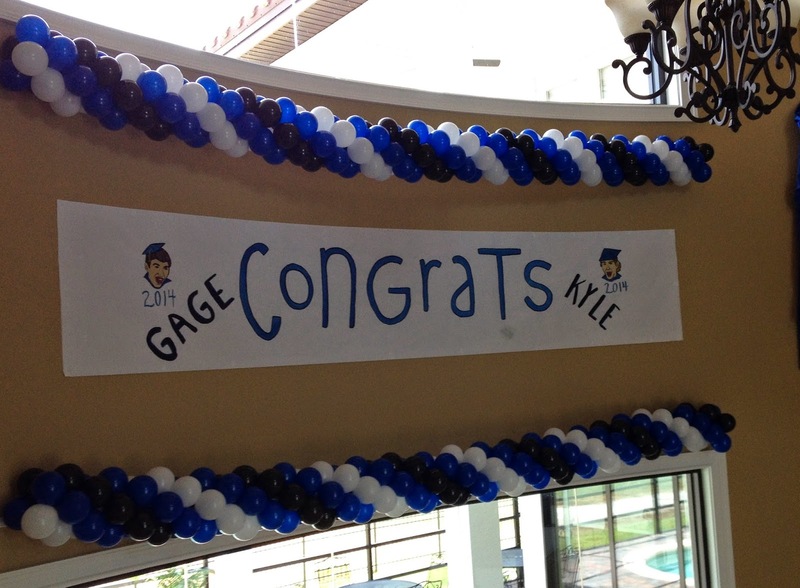 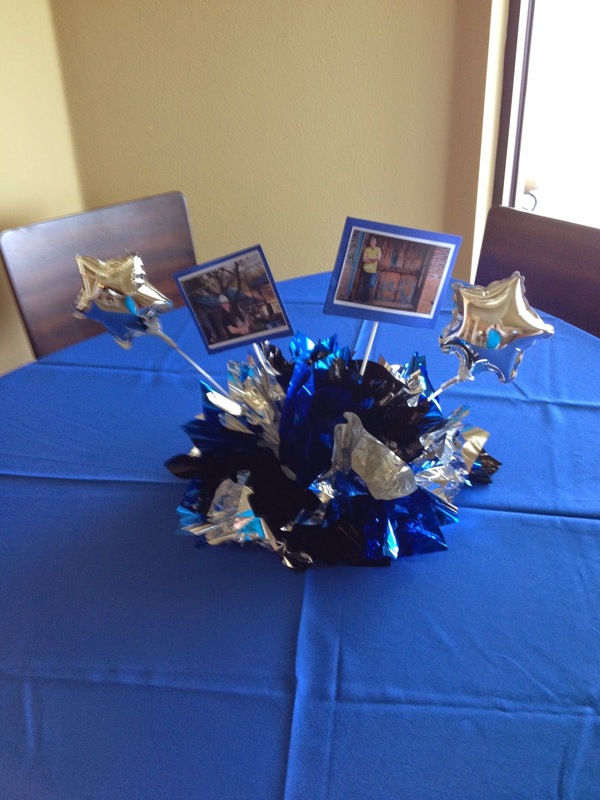 When we met with the parents of this LCS Grad they requested we decorate the lovely double, wrap around staircase, Balloon above and below their custom banner, Balloons over the sliding glass doors and create custom centerpieces and a few pool floats! 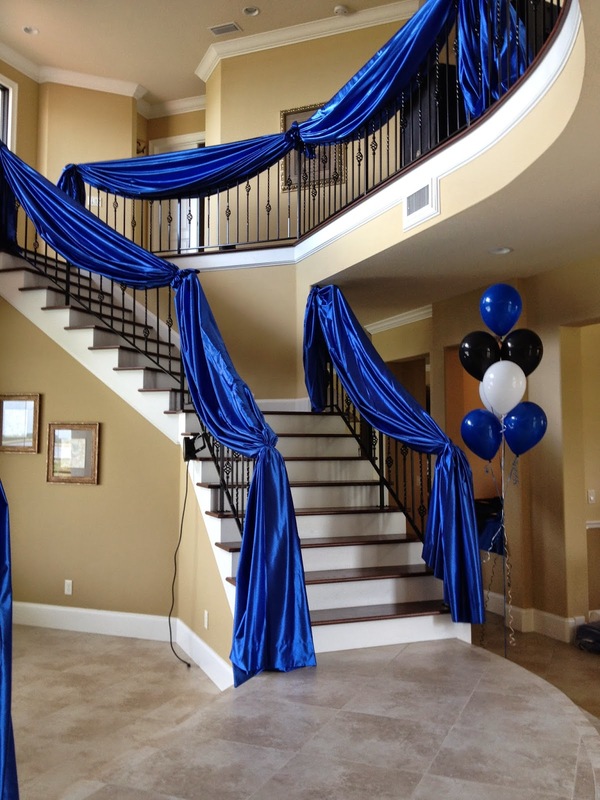 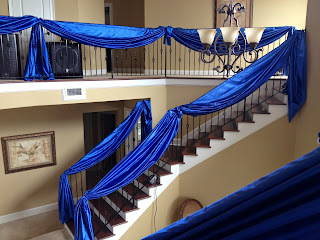 We used our lovely royal blue sateen fabric for the stair case. 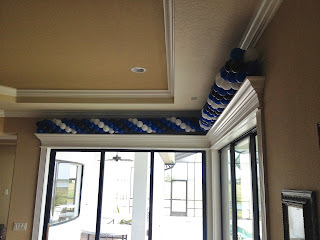 5 inch mini latex balloons created garlands above and below the custom Banner a clients relative made. 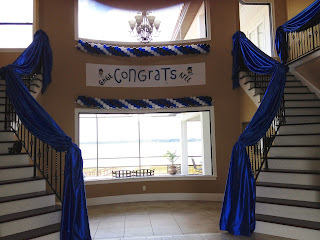 5 inch spiral garlands too bring color over the sliding glass doors as guest go in and out of the Patio. 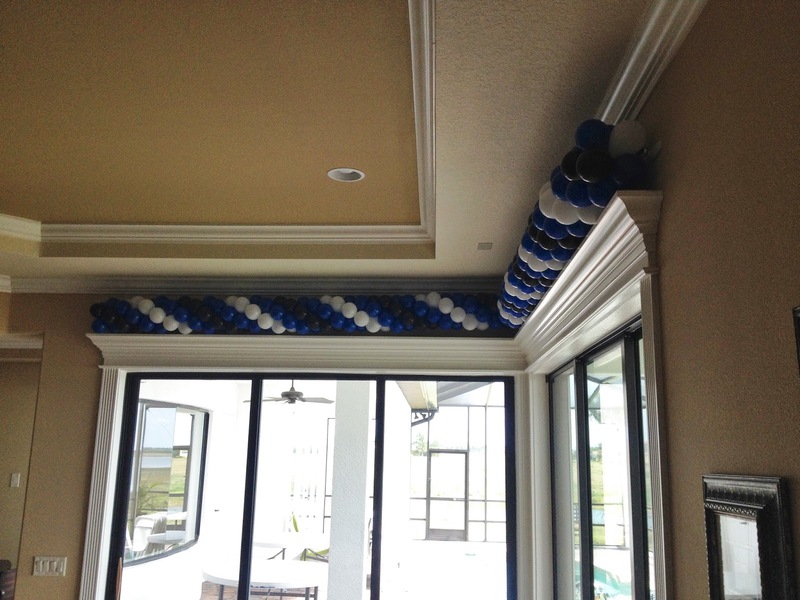 Balloon Topiary's Created to put out at entrance of subdivision to let guest know where to turn!